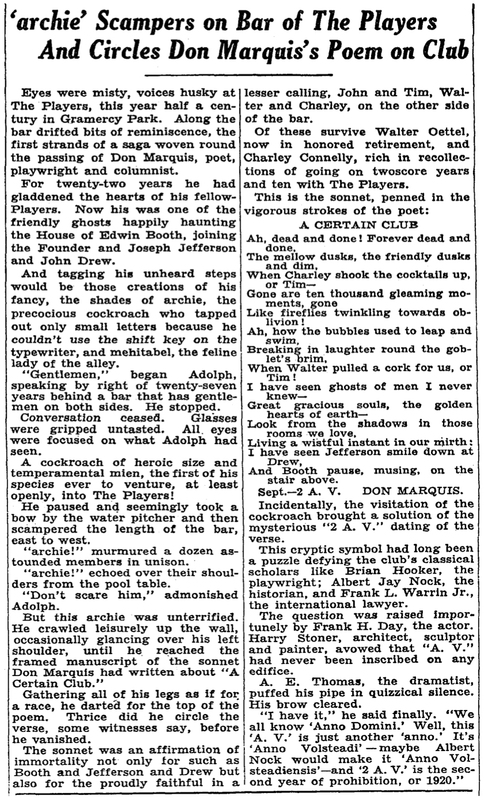 Without comment (except to note the errant spelling of “archy”), we reprint an article that appeared in The New York Times on January 3, 1938. Don Marquis had died at his home in Forest Hills, Queens, just five days earlier. This entry was posted in News and tagged archy, Don Marquis, players by admin. Bookmark the permalink.